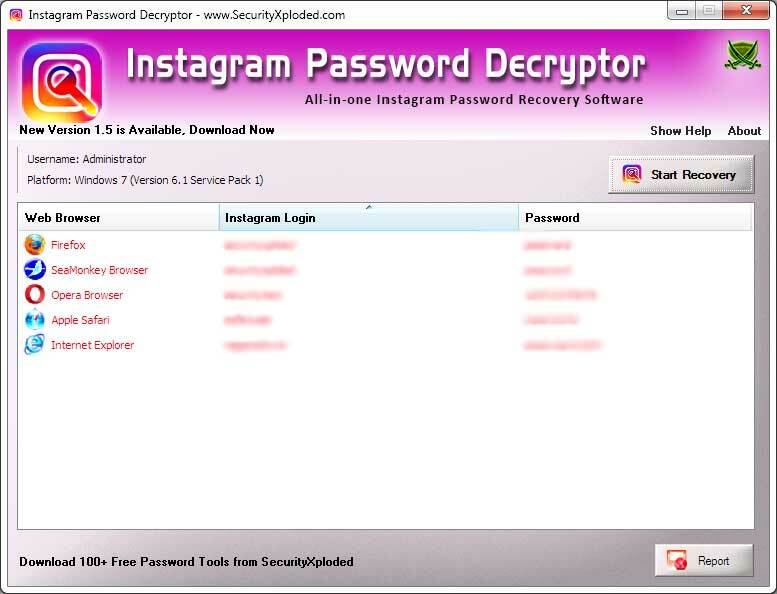 * Instantly decrypt and recover stored Instagram password from Popular Web browsers. * Supports both GUI interface as well as Command-line version. * Automatically discovers all the installed web browsers on your system and recovers the password instantly. * Sort feature to arrange the displayed password list by website, username, password etc. * Generate detailed password recovery report in HTML/XML/TEXT/CSV format. * Easier and faster to use with its enhanced user friendly interface. * Integrated Installer for assisting you in local Installation & Uninstallation. This page was last modified on 26 February 2019, at 15:25.